Without having a chance to shower, I quickly came home, changed, grabbed my daughter and we headed down to Soho. She was exhausted and asleep in the back seat from a full day of camp and I was driving, wishing I was asleep in the back seat with her, trying to air myself out from the smell of grilled cheese and onions that lingered in my hair from hours of cooking all day with campers in my culinary classes. We were headed to the closing reception of the group gallery exhibit at Soho Photo Gallery. 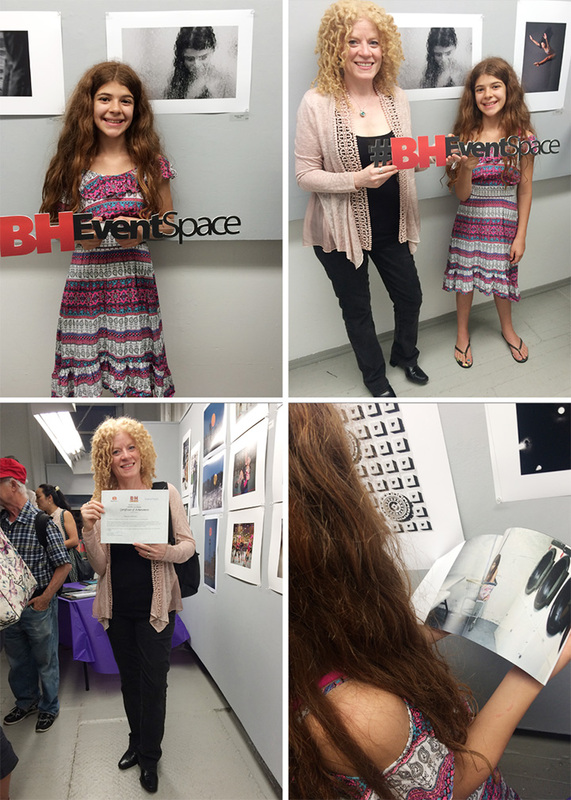 My daughter and I attended the closing reception where I accepted a certificate of completion for the B&H Photo Portfolio Development program. 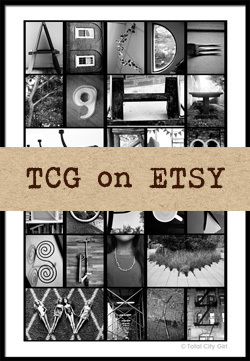 Two of my other photographs were on display along with the book I created (entitled Tweenage) . 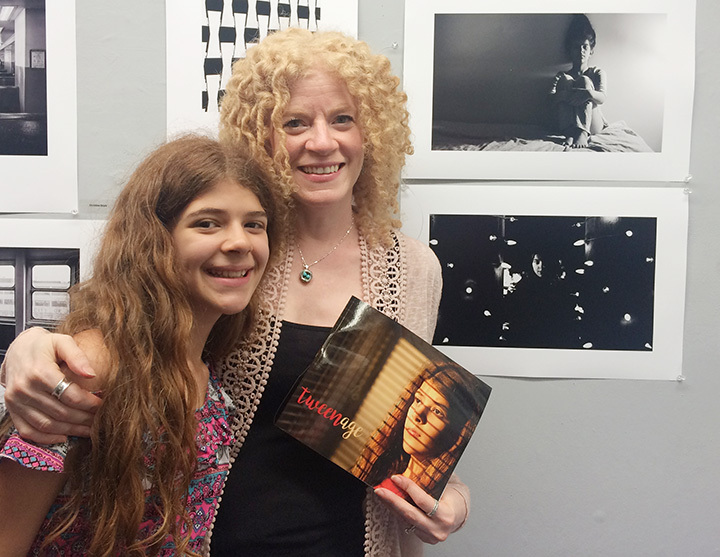 I was so proud to be with my daughter – my model for this project. It was fun to see her being recognized. People were doing a double take and then coming up to her asking her if she was the girl in the photographs. Proud mom moment!! I also loved seeing the work of the other photographers in the show. 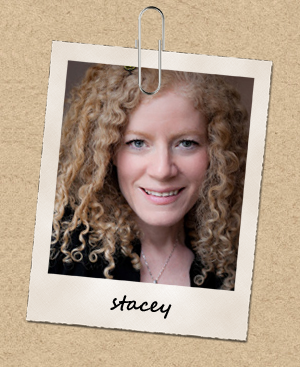 It’s so much fun to work on these personal creative projects! The next round of Portfolio Development is starting towards the end of August. I’m up for another round. Anyone want to join me? Head over to the B&H Event Space page to apply.